Gentle reader, are you looking for some wholesome entertainment in these troubled times? Are you looking to reinvest your hard earned money in the community? Do you love theater and/or Gershwin? If you answered "Yes" to any of these questions, you owe it to yourself to see Young People's Theater's production of Crazy for You this weekend at the Lydia Mendelssohn Theatre this weekend. 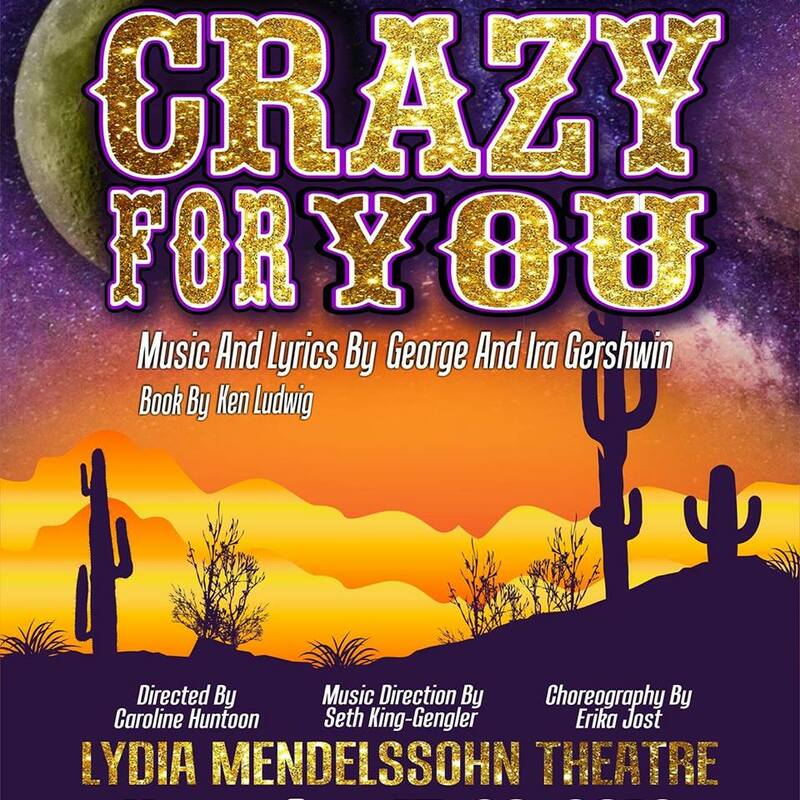 Crazy for you is the classic "put on a show to save the theater" musical. It has everything you want in a show: tap dance, cowboys, assumed identity. It's a real triple threat. EJ, my wife and occasional DA contributor is the show's choreographer and an can promise the dancing will be stellar. 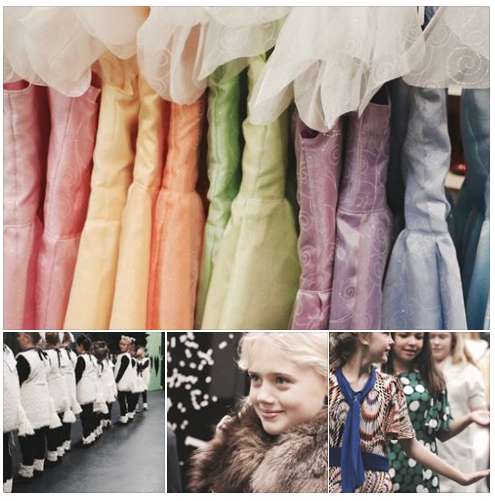 There is nothing quite like the sound of 80 children tap dancing in perfect rhythm. In all seriousness, YPT puts on incredible shows with amazing singing, dancing and acting. The sets are awesome and the costumes are too. The show opens tomorrow and runs through Sunday. Evening shows are at 7:00 pm with manatees at 1:00 pm and 2:00 pm on Saturday and Sunday, respectively. Tickets are just $10 and the show runs 2 hours 15 minutes including at 15 minute intermission. I have hung out with the production team a lot throughout the planning and rehearsal process and I know this is going to be a great show. Gentle readers, are you looking for a place to watch the election results roll in this evening? Fortunately for you there are several great options. Michigan Radio is hosting an election viewing party at Fraser's Pub from 8-11. Earlier in the evening, there is also an election night taco truck block party. It's on William between Third and Fourth st from 5 - 9. 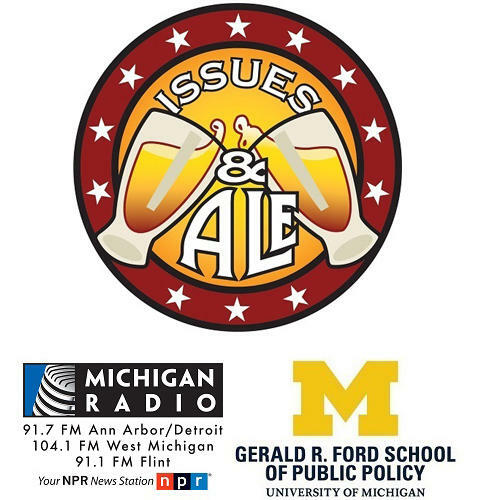 We are having an Election Watch Party tonight, 6pm - ? ?, and you are invited. We will have snacks, BYOB. Gentle reader, do you are you planning on attending one of these parties. 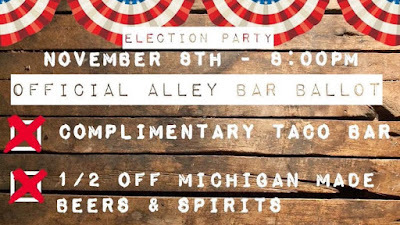 Alternately, do you have a line on a different election party we should check out?